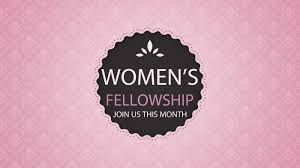 Mary & Martha’s is the women’s ministry of Abundant Life which meets the second Friday of each month at 6:30 PM in the Fellowship Hall at the church. This is devoted to all women whether they are single, married, widowed or divorced. It is a time for women to get to know each other better. We bring a covered dish and begin by having dinner and a time of fellowship. This is followed by a time of ministry by having a special speaker or watching a video or having a “game night”. We are here to help one another through hard times by sharing what God has done for us. This is a way of showing hurting women that God is there to help them through whatever they are facing. We want to encourage and help each woman to become the woman that God wants her to be. Please come out and be a part of this vital ministry. Bring a friend. I am looking forward to spending time with you and encourage you to press on to all God has for you.